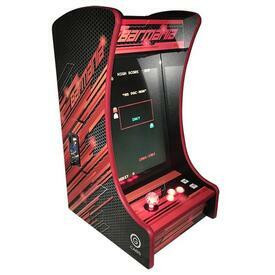 Want an arcade for the home game room but just can't find the space? We have the perfect solution with a bar top or table top unit. They are lightweight and easy to move and inlcude all of the same games as the upright style. Just imagine grabbing a seat at your home bar and being able to play dozens of your favorite childhood video games. It really doesn't get much better than this when talking about home entertainment.